I love Disneyland and I love the details you captured in your layout. Great project! Fun layout - love hubby's yoda beanie. So super cute! Your layout came out spectacular. Love all the colOrs used. I love the crow and sentiment. My DIL loves Halloween. I can't wait to try this layout! Great layout! 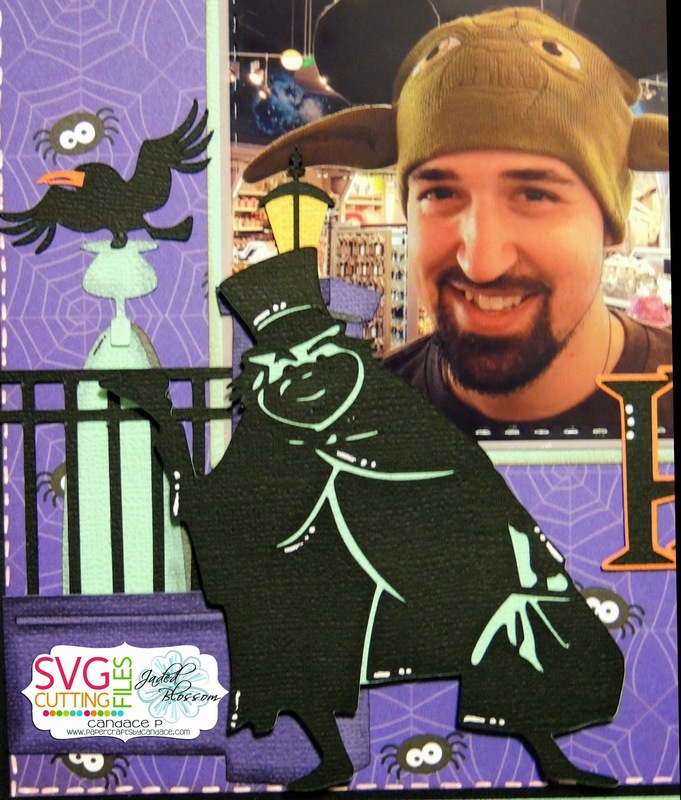 I love seeing scrapbooking! Wonderful details! Love you Layout Candace love the Halloween theme!! Candace ~ This is a very cute layout!! I LOVE how you incorporated Jaded Blossom stamps into your layouts!! This is AWESOME inspiration!! Thank you!! Candace absolutely adorable layout!! Next time you go to D-Land let me know maybe I will join you! TFS! Such a great, fun layout. Love anything Halloween. Put Disney into the mix and I'm estatic! Very nice layout. Love the mickey mouse pumpkins. Just in time for a Crop Weekend coming up, love the beautiful work! Great job, love the layout and love the hitchhiker. Awesome layout. These templates are amazing!!! oh how awesome! love the layouts. so much detail! i need to get on making my books. im 10 years behind on somethings. sigh. thanks for sharing your work! I'm so excited about this hop! What great templates and I'm sure to find some great ideas along the way! I love how the spiders are peeking out. So cute! Love that spider paper, anything Halloween I love. 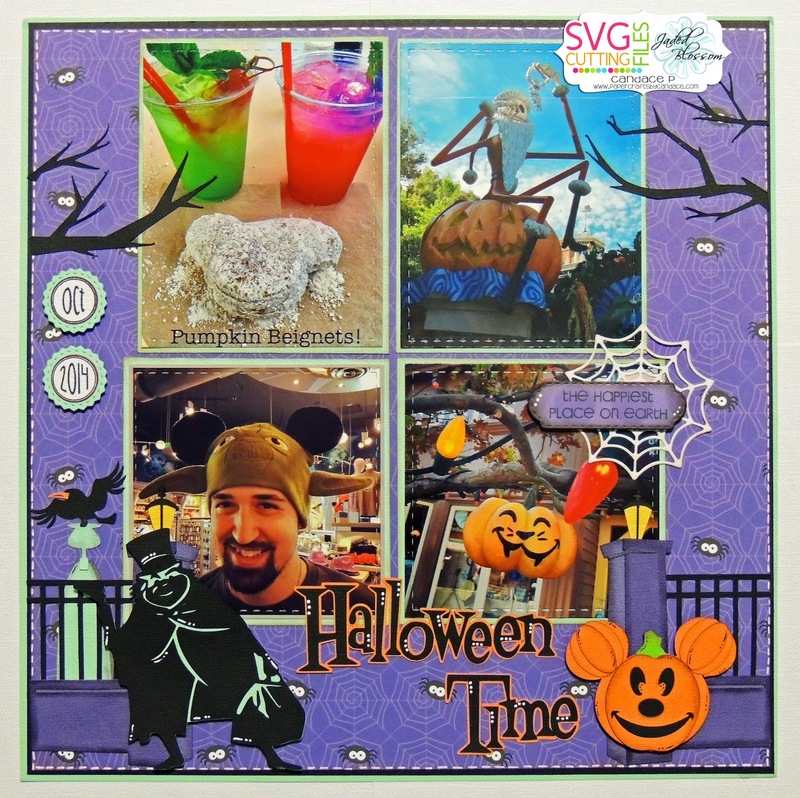 What a great layout and the Mickey Mouse Pumpkin cut is just too cute! Love your layout. I have never been at Halloween. I do believe it is a must now. Love it. Truly my next layout is Halloween. Love it! We were at WDW for Halloween so this is just what I need! Huge Disney fan here too! Love the MNSSHP inspiration! Excited to join the blog hop. I love this! We are headed to Disney in April and I'm excited to replicate this layout! SUPER Cute!! I Love your LO. Great Halloween page. Looks unique and special. I just went to WDW for Christmas so this is perfect. Although the kids were scared during haunted mansion. Super cute. 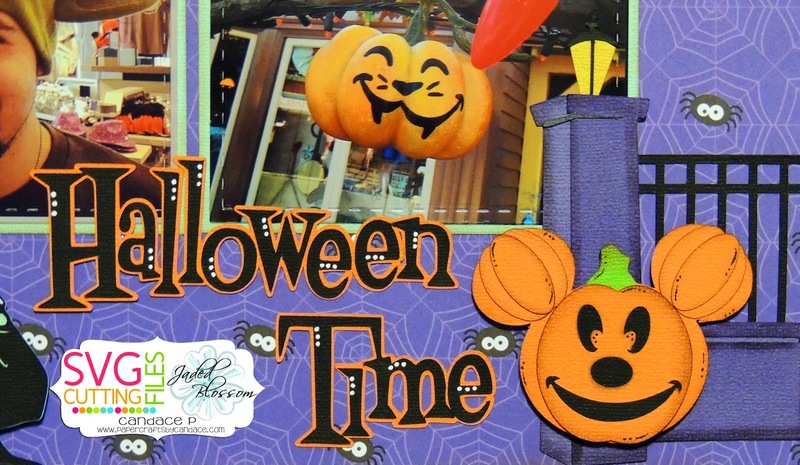 Love the Disney theme and the Mickey Pumpkin embellishment. Fabulous layout. Love all the details. Love how it looks like the spiders are peeking out in places. Great layout! Awesome lo and terrific files! What a great hop! Love it! I'm working on scrapping a trip we took around Halloween time - this would be a perfect addition! So excited for this Hop. Love Scrapbooking and this is such a great place to begin. Disney/Halloween how great! I have a brand new grandson and need to get caught up with my regular scrapbooking quickly. These layouts will be perfect. I love this!! we did Disney for halloween this year too. Thanks for some awesome inspiration!! Let's kick off the new year with a fabulous LO! It's just darling! Great layout! Love the vibrant colors. Reaper is super creepy. Love him. Don't suppose you want to post your neon drink recipes? They look fun. Thanks for the layout idea. what a super cute layout!! Very cute. The Haunted Mansion is my favorite Disney ride. Wonderful way to save those memories. Love your LO, so fun and eye-catching! 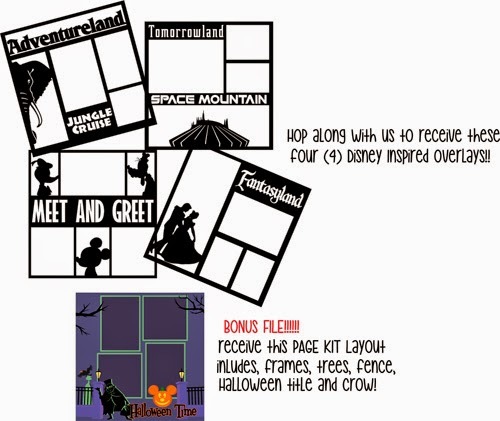 Love that pumpkin mickey and the layout is really nice. I love it, and the freebies are awesome!my next disney trip is in june. =) cant wait to use them. This is darling! Love the colors you chose too! What a fun layout!! I love all of the details!! Is it just me or does it seem like it has been years since we got to "Hop" with Jaded and SCG. 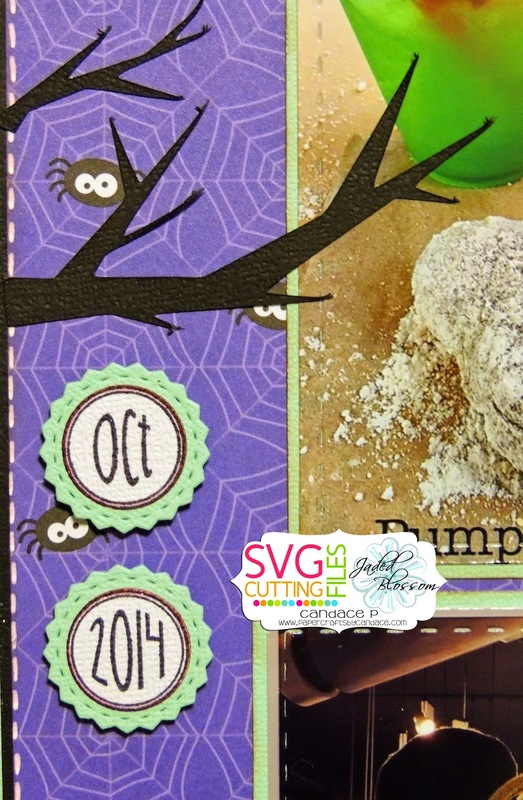 Great layout- I love that pumpkin-- oh so cute! Such an awesome LO Candace! LOVE the pictures and fun paper choices! Awesome ! Thank You for sharing! fun photos and awesome layout... love it. 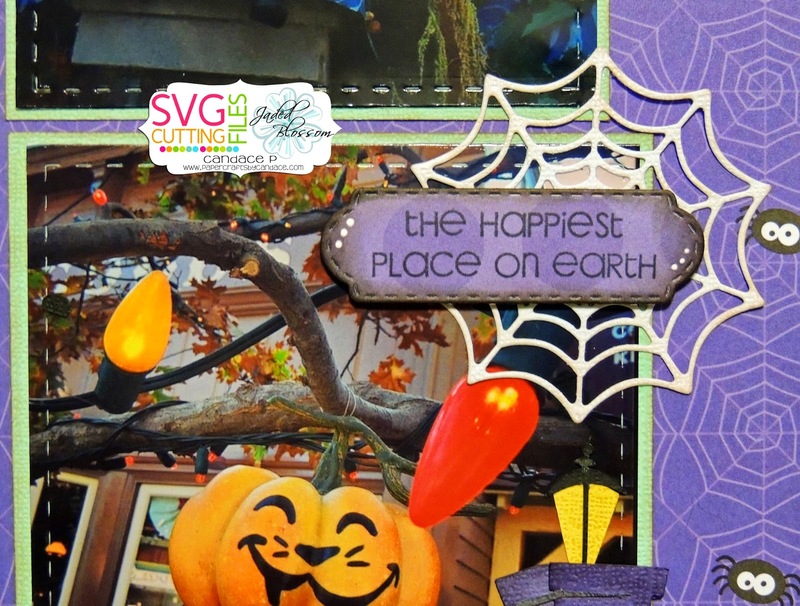 Love it and so excited for a scrapbooking layout hop! Great Layout, I know I have some pics that will work perfect with it. Your layout is perfect and I love all the Halloween details! I love Disneyland!!! I Love this layout!! Love the Mickey pumpkin!! OMG - way too cute - wish I was with you! Super cute page layout! I love the details on the title and the Mickey pumpkin. Thanks for sharing. I am always looking for inspiration first halloween. Love the colors. Suoer cute!!! We love going in October for the Halloween party!! Looks great! One our fave rides at DL! Live in New Orleans love the Mickey beignet. Awesome layout. Too cute. I love the overlays. love your products you made.You always make awesome things. Keep up the awesome job. Thank you!